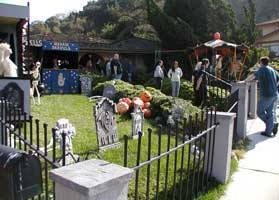 Starting out about 18 years ago with two discount store skeletons posed in the "Alas, Poor Yorick" scene from Hamlet, our passion has led us to develop our skills to match our imaginations, and now Maniac Mansion is one of the largest and most complex private home haunts in Southern California. 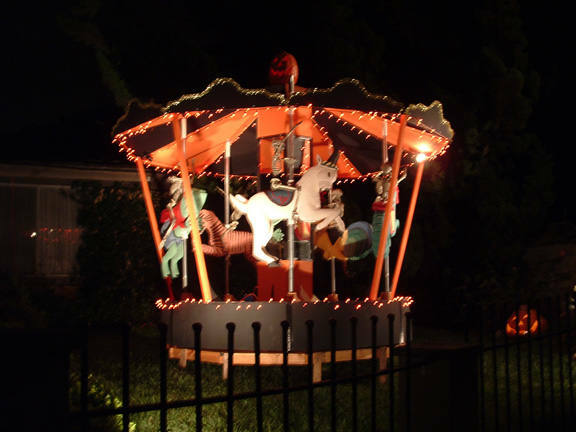 For several years we did wondrous static front yard displays that relied more on wit and cleverness than technology, and every year the display changed completelly. Six years ago we made our first, simple animated props, and we've never looked back -- until now, that is. The haunt retains the carnival theme from year to year now, with improvements and a few new things each year to keep everyone's interest piqued. 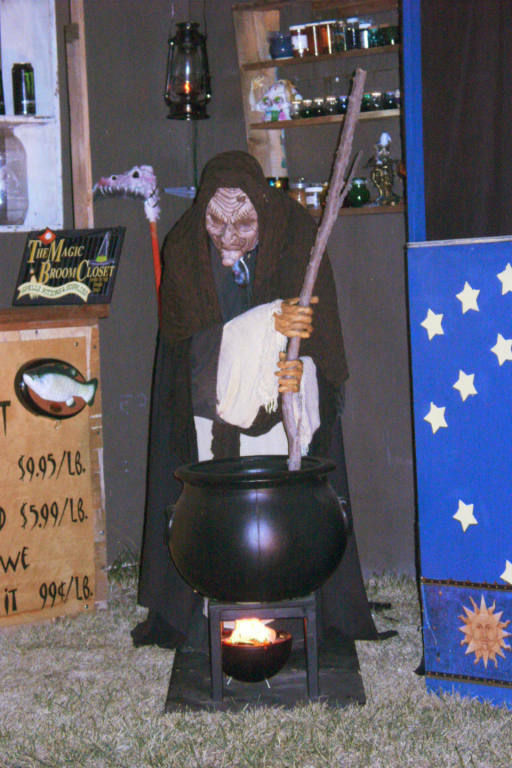 We're going to be adding photos from previous years as we gete time, so come back occasionally and check out the Roman armies, spaceships, pirate battles and Ali Baba fantasies that have graced our front yard over the years.